Flooding social media sites of late was news of the overseas recall of Fireball Whiskey. Recently, some retailers in Sweden and Finland have pulled Fireball from their shelves due to the amount of propylene glycol found in the liquor. For those who don’t know about Fireball, it’s a cheap, but delicious, sugary sweet cinnamon liquor. Of late, Fireball has taken college campuses, tailgates, and even weddings, by storm. Need proof? According to Bloomberg Business, in 2013, Fireball posted $61 million in sales, up from $1.9 million in 2011. While Fireball has run into an issue in the European Union, it will most likely remain available in the United States. Here, the FDA allows for a maximum content by weight of 5.0 percent of propylene glycol in alcoholic beverages. However, the European Union only allows for a maximum level of .1 percent in final foodstuffs. What is propylene glycol? According to the Agency for Toxic Substances & Disease Registry, propylene glycol is a synthetic liquid substance that absorbs water and, among other things, it is a base for deicing solutions. The FDA has classified propylene glycol as an additive that is “generally recognized as safe” for use in foods. Further, according to the FDA, there is no evidence in the available information on propylene glycol that demonstrates, or suggests reason to suspect, a hazard to the public when they are used at levels that are now current or that might reasonably be expected in future. Therefore, while it appears that the sale of the syrupy sweet liquor may have run into some hiccups in some Nordiac countries. It does not appear as though the supply in the United States will dry up anytime soon. We will continue to closely monitor the situation and update as necessary. Painkiller abuse has become a big problem in the past decade, and now, three governmental entities are seeking to hold pharmaceutical companies responsible. The City of Chicago and two California counties have filed separate lawsuits alleging that “aggressive marketing” by several pharmaceutical companies has purportedly led to addiction and abuse of painkillers by their taxpayers. The named defendants are Jansen Pharmaceuticals, Purdue Pharma, Actavis, Endo Health Solutions Inc., and Cephalon. The core allegation in these suits is that the companies fraudulently downplayed the known risks of painkiller addiction in their marketing materials, which allegedly misled the public and led physicians to overprescribe the drugs. This conduct allegedly costs taxpayers and the government millions of dollars in the form of unnecessary prescriptions and emergency medical care. The City of Chicago’s complaint alleges that in Chicago alone there were over 1,000 ER visits attributable to painkiller abuse in 2009. These lawsuits are an interesting attempt to regulate, through litigation, what is already one of the most heavily regulated industries in the United States. Matters relating to prescription drugs typically fall under the jurisdiction of the FDA. Moreover, federal laws and regulations already require that pharmaceutical promotional materials must be supported by substantial scientific evidence and must reflect a “fair balance” in describing the benefits and risks of the drugs. See, e.g., 21 U.S.C. 352(a); 21 C.F.R. 201(e)(g). Not surprisingly, the pharmaceutical companies are already angling to dismiss these lawsuits. Earlier this month, they moved to dismiss the City of Chicago’s complaint on, among other grounds, the ground that this matter should be decided by the FDA under the primary jurisdiction doctrine. The primary jurisdiction doctrine is a judicial doctrine whereby a court tends to favor allowing an agency an initial opportunity to decide an issue in a case in which the court and the agency have concurrent jurisdiction. Through the years, many of our posts here at Abnormal Use have focused on the Food and Drug Administration and, in particular, its treatment of generic and brand name drugs. Despite the drugs’ apparent ability to be substituted for one another medically, the FDA treats generics and brand names very differently in terms of the manufacturers’ liability, and the ability to change or alter warning labels. In broad terms, generic drug manufacturers have very little control over the labels that are placed on their products. The labeling and warning requirements promulgated by the FDA with regard to a particular brand name drug are simply passed along to the generic form of the drug—in other words, generic drug manufacturers are required to provide the exact same warnings as the brand name drug. The lack of control, however, is met with a corresponding insulation from liability—in the past, the Supreme Court has shielded generic drug manufacturers from lawsuits involving allegations of inadequate labeling. All of that may be changing, thanks to the U.S. Supreme Court’s June 2013 ruling in the case of Mutual Pharmaceutical Co. v. Bartlett, 133 S. Ct. 2466, 186 L. Ed. 2d 607 (2013) [PDF]. If adopted, the new regulation would remove a legal distinction that prompted the Supreme Court to shield generic drug makers from product-liability lawsuits, even while allowing such claims against manufacturers of brand-name drugs. This is a development to be watched carefully. Depending on how the FDA amends its rules, a flood of litigation could be building right behind the change. It might also mean the demise of some generic drug manufacturers who don’t wish to be in the lawsuit business. It’s going to be an interesting season at the FDA, for sure. Monster Beverage Corp and its “Monster Energy” drinks have come under a lot of heat in recent months. The FDA recently confirmed that it is investigating reports of five deaths and a heart attack that were possibly linked to consumption of Monster Energy. In September, two U.S. senators sent a letter to the FDA asking it to investigate “energy drinks” and their effects on adolescents. Now, the parents of a Maryland teenager who died after allegedly drinking two cans of Monster Energy in a 24-hour period are suing Monster. Monster Energy is a highly caffeinated drink. Energy drinks like it are the fastest growing segment of the soft drink market, with sales rapidly increasing over the last year. Other brands of energy drinks include Red Bull, AMP, and Rockstar. But Monster is clearly the market leader. Now the billion dollar question is whether Monster Energy is dangerous. The parents of 14-year old Anais Fournier certainly believe the drinks are unreasonably so. Their lawsuit alleges that in November of 2011 Anais went into “cardiac arrhythmia due to caffeine toxicity” after two drinking two 24-ounce cans of Monster Energy on consecutive days. Apparently, the high caffeine level of the drink complicated an existing heart valve condition in the teen. She was taken to the hospital but died six days later. The lawsuit contains two main allegations. The first is a defective design claim alleging that the drinks just contain too much caffeine. I’m not sure this claim will fly. The complaint alleges that two cans of Monster Energy contain 480 mg of caffeine and notes that this is the equivalent of 14 cans of Coca-Cola. While this is true, it is somewhat misleading. Coca-Cola is actually relatively low in caffeine in comparison to coffee or tea. A single venti (20oz) cup of regular coffee from Starbucks contains 415mg of caffeine. As such, I’m not sure you could say that a 24oz can of Monster Energy with 240mg of caffeine poses an unreasonable risk. It is unclear, however, whether this warning was on the cans in November of 2011 when the plaintiffs’ daughter consumed the Monster Energy. Regardless of how this plays out, the caffeine scare may have already taken its toll on Monster. Monster’s stock hit a high of $79 per share in June, but has recently plummeted to around $45 per share. On July 9, the Food and Drug Administration Safety and Innovation Act (FDASIA) was signed into law by President Obama. Thanks to the FDA Law Blog for the correct pronunciation of the acronym–“fuh-day-zha.” This law focuses on several goals. Under FDASIA, the FDA can collect “user fees” in order “to fund reviews of innovator drugs, medical devices, generic drugs and biosimilar biologics. It also reauthorizes two programs that encourage pediatric drug development.” Other provisions of the FDASIA aim to improve pharmaceutical supply chains, change approval and regulation processes, and provide incentives for the development of drugs to treat rare diseases. Part of the effort to combat drug shortages includes provisions requiring manufacturers to notify the government of any problems or issues that may lead to shortages down the line; in the past, such reports were completely voluntary by the manufacturer. Manufacturers who fail to report under the law are subject to sanctions. More about the FDASIA’s provisions with regard to drug shortages can be found here. If you’re up for some light reading, the FDA Law Blog provides a link to a 75-page “summary” of all 11 titles of the law by the FDA powerhouse firm Hyman, Phelps & McNamara, which can also be found here. Or, if you think that a summary just isn’t enough to satisfy your curiosity, you can read the law itself here. On Thursday, January 19, mega-company Johnson & Johnson and the State of Texas reached a settlement for the bargain price of $158 million in a Medicaid fraud lawsuit. The allegations? That J&J committed Medicaid fraud by engaging in illegal marketing activities and providing kickbacks to boost sales of the anti-psychotic drug Risperdal, used primarily to treat schizophrenia and bipolar disorders. The suit also alleged that J&J told doctors that the drug could be used to treat children, for which it did not have FDA approval. Oops. And why was $158 million a bargain? Well, consider what has happened to the company in other states that have also sued J&J on similar theories. In Louisiana, the Court ordered the company to pay $258 million; in South Carolina, the bill was a cool $327 million. On August 9, 2011, the Eastern District of Louisiana approved the distribution of attorneys’ fees following the global settlement of litigation involving Merck’s troubled drug Vioxx in In re Vioxx Product Liability Litigation, — F.3d — , No. 2:05-MD-01657, 2011 WL 3563004 (E.D. La. Aug. 9, 2011) [PDF]. Developed and marketed to treat arthritis, menstual pain and migraine headaches, the drug was approved for sale by the Federal Drug Administration on May 20, 1999. Merck pulled the drug off the market on September 20, 2004, after a clinical trial found that the drug increased the risk of cardiac incidents like stroke and heart attacks. As expected, thousands of individual cases and multiple class actions filed against Merck in the aftermath of the recall. Eventually, those cases filed in federal court were consolidated in an MDL in the Eastern District of Louisiana. It was estimated that more than 50,000 claims were filed against Merck after 20 million patients took the medication. After consolidated discovery, several trials commenced before the parties started talking about a global settlement. Those talks were successful, and a Settlement Agreement was entered. See Settlement Agreement, In re Vioxx Prods. Liab. Litig., MDL 1657 (E.D.La. Nov. 9, 2007), available at http://www.browngreer.com/vioxxsettlement. The Settlement Program proceeded at a very rapid rate and Merck made additional payments in order to ensure that the claimants would receive funds in a timely fashion. . . . [I]n only 31 months, the parties to this MDL case were able to reach a global settlement and distribute Four Billion, Three Hundred and Fifty-three Million, One Hundred Fifty-two Thousand and Sixty-four Dollars ($4,353,152,064) to 32,886 claimants, out of a pool of 49,893 eligible and enrolled claimants. This efficiency is unprecedented in mass tort settlements of this size. It was due in large part to the ability, industry, and professionalism of the attorneys for both sides, the plan administrators, the lien administrators, the pro se curator, and the special masters. “[A]ny attorney wishing to have their time considered for an allocation of any common benefit award” was directed to submit a three-page written affidavit to the FAC articulating their contribution, with emphasis on factors including “substantial contribution to the outcome of the litigation,” quality of work, “consistency quantum, duration, and intensity of … commitment to the litigation,” “level of partner participation,” committee membership and leadership positions, the “jurisdiction in which non-MDL common benefit work occurred,” “[a]ctivities surrounding trials of individual Vioxx claimants, including bellwether trials and non-MDL trials that impacted proceedings on a common benefit level,” participation in ongoing work for the common benefit, involvement in Vioxx litigation prior to withdrawal of Vioxx from the market or the MDL, contribution to funding of the litigation, commitment to the litigation after adverse verdicts, and any other relevant factors. Over one hundred firms or attorneys submitted almost twenty-four hundred pages of affidavits and supporting documentation, all of which were entered into the record. Although they requested 8 percent, the Court approved a compensation of 6.5 percent of the final settlement for the plaintiffs’ attorneys, a total of $315,250,000.00. Oh, and just a side note: that was in addition to their fees. In the end, 108 law firms were granted monetary awards from the common benefit fund. There is an old saying: you have to have money to make money. Usually, it’s used in the conext of investing. But this case demonstrates that the same is true in litigation. Just seeing a few of the reimbursement amounts –$500,000 to one law firm, $4 million to another — proves that in many cases, only the large plaintiffs’ firms who could front those kinds of expenses could take these cases, which were ultimately quite profitable once the underlying settlements and attorneys’ fees were approved. So the next time a plaintiff’s attorney plays the David and Goliath game at trial against your firm, remember this case. Sometimes,you have to be Goliath, too. Last week, Qualitest Pharmaceuticals announced that it was recalling birth control pills due to a packaging error which left women at risk for unplanned pregnancies. Qualitest discovered that select blisters were rotated 180 degrees within the packaging. As a result, the weekly tablet orientation was reversed and the daily orientation was incorrect. According to the report, no immediate health risks were expected (except the possibility of pregnancy, of course). This recall poses a few intriguing issues. First, it is rare to see a drug recalled due to its packaging under these circumstances. 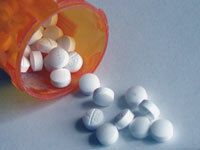 Drug recalls themselves are not uncommon. Certainly, we can all remember at least one drug pulled from the shelves after the discovery of adverse side effects. However, recalling a drug due to a packaging error is a completely different story. If a product is recalled due to a “packaging error,” we might expect it to be the result of mislabeling or an injury-causing plastic bottle. Seldom, does a packaging error actually affect the performance of the drug itself. The fact that the mere 180 degree rotation of a product’s packaging can render a product completely ineffective seems curious. If Crayola accidentally packaged its product in reverse-rainbow order, the crayons would not cease to become coloring utensils. One would think that if a company is capable of designing a product that can alter reproductive hormones and prevent unwanted pregnancies, it could also design a package not affected by a reverse rotation. Second, what legal liability may Qualitest face as a result of this error? We anticipate plaintiffs who have experienced an unwanted pregnancy will expect to hold Qualitest accountable. They may elect to assert a claim for wrongful pregnancy; however, this cause of action is typically filed against medical providers for failing to perform a sterilization procedure correctly. If a medical provider can be held liable for failing to perform a vasectomy, so too might a pharmaceutical company for negligently packaging its birth control pills. If the plaintiffs are unable to assert a wrongful pregnancy cause of action, it is unlikely their “unwanted children” would have a cause of action for wrongful life. Only a small number of states permit wrongful life actions, and those that do typically require the child to be born with some birth defect. Third, even if plaintiffs have a cause of action against Qualitest, there most certainly would be some issues of comparative negligence. While the birth control pills may have been rotated and disoriented, they are also color-coded – the first three weeks of hormone-producing pills are one color, while the last week of placebo pills is another. By taking these pills on a monthly basis, plaintiffs would undoubtedly have noticed this distinction. What should we learn from all of this? Two things: 1) If you are a consumer of birth control pills, check your packaging to make sure you are staying on schedule; and 2) If you are a manufacturer of birth control pills, try using circular packaging. On June 29, 2011, a panel of the Food and Drug Administration rejected the drug Avastin for use in the treatment of end-stage breast cancer. Manufactured by Genentech, a subsidiary of Roche, the drug has been approved for the treatment of other types of cancer, but as recently reported by NBC Nightly News, the panel believed that the drug is not effective, and the side effects too serious, for the treatment of breast cancer. A final decision will come from the FDA in a few months. As can be imagined, this action has brought a firestorm of criticism of the FDA. 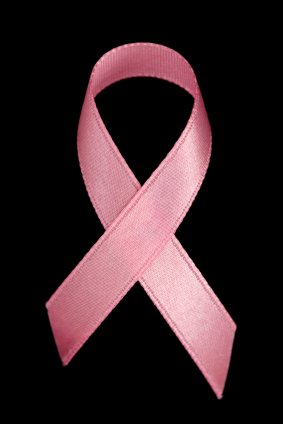 Because the drug will still be on the market, it will be possible, perhaps, for doctors to prescribe the drug “off-label” for breast cancer, but of course, insurance companies won’t pay for it if it’s not approved for the specific disease for which it is prescribed. Indeed, House Republicans are promising to make Avastin an issue during next week’s hearings on the reauthorization of FDA’s user-fee funding provisions. House Energy and Commerce Committee Chairman Fred Upton says he has “grave” concerns about FDA’s review of the data on Avastin, the Wall Street Journal reports, and aides are saying that either he or another member will raise those concerns at Thursday’s hearing. Read the referenced Wall Street Journal article here. Stay tuned. 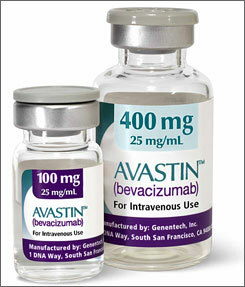 If indeed the full FDA precludes usage of Avastin for the treatment of breast cancer, it will present many questions for the manufacturer, which will undoubtedly know that doctors may still be prescribing it for use as a treatment for the disease. Of course, manufacturers of all sorts of drugs know that their medication is prescribed off-label, but this will be a much higher profile case than most. Will that knowledge hurt the manufacturer if any defects are alleged? We will have to wait and see. Preemption is always a good argument in drug cases, but what preemption would there be if the FDA did not approve the drug for use for this particular disease?